Kenison Law Office provides aggressive legal representation to accident victims and their families. Our law practice helps people in the Manchester, NH, area and across the state. With decades of experience as a plaintiff’s attorney, John B. Kenison, Jr. is prepared to handle any type of accident, including serious accidents resulting in lifelong injuries or death. You can contact us now to discuss your situation, or review the following list of some of our most common practice areas. Wrongful Death - When an accident victim does not survive, the estate can bring a negligence claim against the responsible party to recover damages on the victim’s behalf. Surviving family members are also entitled to compensation for the loss of their loved one. Personal Injury - Most injury cases are based on negligence liability. To prevail, the victim must have been injured as a result of the other party’s carelessness. These cases usually settle out of court, but Mr. Kenison will litigate when necessary to protect his client’s interests. Product Liability - Someone hurt by a defective product is not in the best position to determine what went wrong in the manufacturing process. For this reason, the law of strict liability makes it easier for victims to sue the parties responsible for bringing the product to market. Medical Malpractice - Doctors and hospitals must attend to their patients with due care and diligence. When medical treatment deviates from the accepted standards, the results can be catastrophic. Bringing a malpractice claim may be the appropriate recourse for a seriously injured patient. Dog Bites - Bite victims can hold a dog owner liable without having to prove that the owner acted carelessly. The fact that the bite happened is enough to support a claim for damages, including compensation for disfigurement or scarring. Car accidents affect millions of individuals each year, often resulting in traumatic injury or death. Fortunately, John B. Kenison, Jr., is a proven personal injury attorney who can fight to recover compensation for your damages. 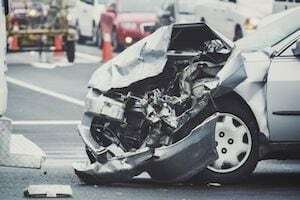 Car Accidents - Automobile collisions result in more personal injury cases than any other type of accident. Obtaining a fair settlement can require aggressive negotiation, even when the other driver was clearly at fault. We also pursue claims against drunk drivers who cause injury. Truck Accidents - In addition to holding careless truck drivers responsible, we may be able to hold an employer secondarily liable for the driver’s conduct. Irresponsible hiring or training may also form the basis for a negligence claim against the trucking company. Motorcycle Accidents - Mr. Kenison rejects the idea that motorcycles are inherently dangerous. In fact, when motorcycles and automobiles collide, more often than not the driver of the automobile is at fault. We fight to see that injured motorcycle riders receive full compensation. Construction Accidents - Recovering damages for an injury that occurred at a construction site can require multiple legal claims. Our firm can advise regarding claims for workers’ compensation, third-party negligence, defective products, and wrongful death. Premises Liability / Slip and Fall - Property that is open to guests or the public must be free of dangerous conditions that create an unreasonable risk of harm. The court will consider all of the circumstances - including whether the owner posted warning signs - when determining liability. In New Hampshire, personal injury cases and other civil claims exceeding a certain dollar amount must go through ADR prior to trial. Attorney John Kenison is a court-approved mediator with a proven record of helping parties settle out of court. With decades of experience as a plaintiff’s attorney, John B. Kenison, Jr. is prepared to handle any type of accident, including serious accidents resulting in lifelong injuries or death. The practice areas described here do not represent a comprehensive list of the cases we handle. If you were involved in any kind of serious accident and need reliable advice, let us know so we can discuss the matter right away.